Description: Blue Hat have no dues our formal meetings. We pray the rosary together on the 2nd Saturday of each month in the Chapel. Wearing a blue hat to honor the Blessed Virgin Mary is encouraged but not required. Call or text 208-602-6899. Description: The Idaho Catholic Appeal starts each year on the second Sunday of Lent. This is the main funding source supporting the varied ministries of the Diocese, our Catholic Church of Idaho, and the diocese’s support of some ministries of the National Church and the Universal Church. Blue Hat have no dues our formal meetings. We pray the rosary together on the 2nd Saturday of each month in the Chapel. Wearing a blue hat to honor the Blessed Virgin Mary is encouraged but not required. Call or text 208-602-6899. The Idaho Catholic Appeal starts each year on the second Sunday of Lent. 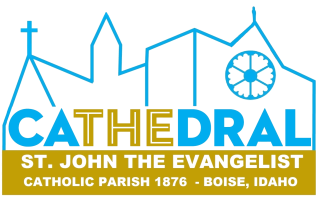 This is the main funding source supporting the varied ministries of the Diocese, our Catholic Church of Idaho, and the diocese’s support of some ministries of the National Church and the Universal Church.